Los Silos where lasting values count much. 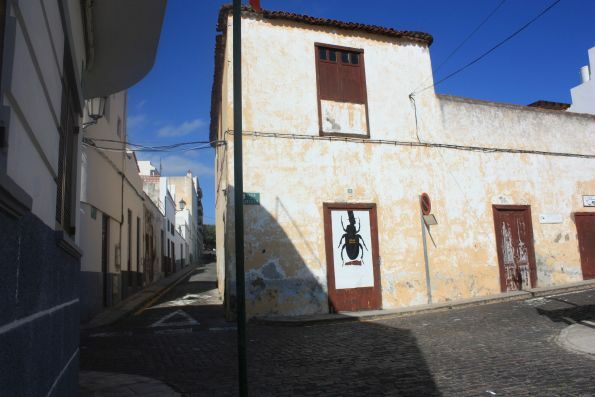 Indeed, La Villa Los Silos which is town since 1921 can't be described with a few words. 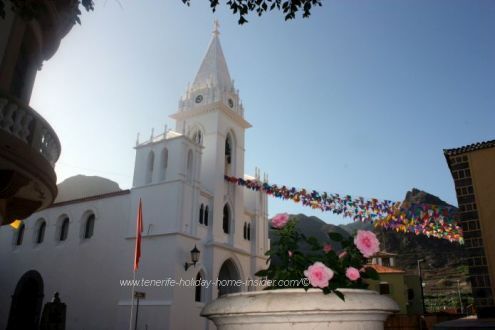 Upcoming Tenerife events at Los Silos with sports and much more as part of summer celebrations 2018 from 28 July - August 06 related to the Fiesta de Nuestra Señora de Lourdes, more of which at the town's Facebook page. Get yourself a cup of tea or a long drink and make yourself comfortable. 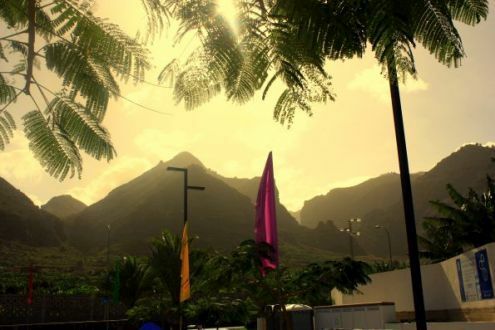 Titsa bus 363 from Puerto de la Cruz took me within half an hour to this amazing town of the Isla Baja. It arrived on the old road TF43 the one to Buenavista del Norte where a road signs for walkers point to Monte del Agua, Terra de Trigo, Cuevas Negras, Erjos and Las Moradas. Then right away, came the next surprise. Only a few meters separated the bus stop from the hub of town. 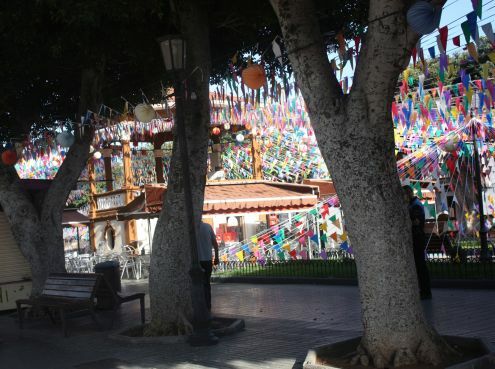 International festival Boreal with its flags on the main town square Plaza de la Luz. There, thousands of gay Fiesta de Boreal flags greeted me. They danced in the morning breeze. Unfortunately, the fiesta would not start on its first day before about 8 p.m. at night, while the following Saturday was going to have events before noon, as well. This settlement that was founded by the Portuguese Gonzalianes in the early XVI isn't as rural as I expected. Actually, it's a perfect mix of the worldly and the down to earth. What does the hub look like in Los Silos ? 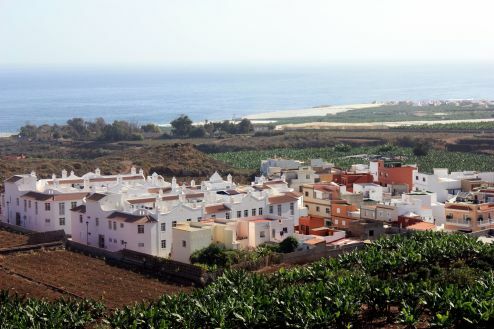 White washed, traditional houses with picturesque Canarian balconies and bay windows excel. Cobble stone streets abound. In the old quarters, some buildings date back more than 400 years. None have more than three stories. 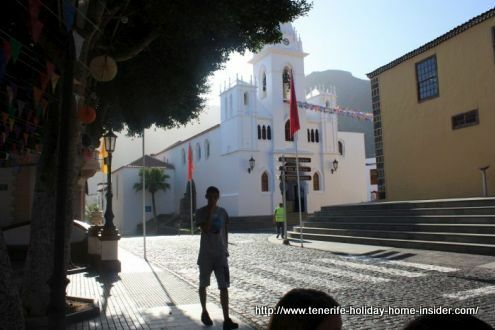 Plaza de la Luz in the hub of town surrounded by historical monuments and tradition. Everything frames a charming stage for cultural festivals. Its preservation of the traditional architecture is a valuable asset that gives visual credit to the past. The platform for cultural events connects with the world and provides lasting quality for the future. A good environment for social life. The massive former convent San Sebastiano from the middle of XVII seems to lend its weight to it. Its neighbor Iglesia de La Luz the elegant white XVI church with its slender towers has rendered a luminous, bright contrast since 1920. 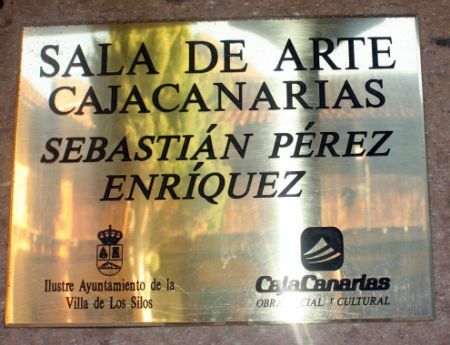 Then, the architect Mariano Estanga gave it a new facade of Modernist (art nouveau) style, although not as elaborate as his work at the Circulo de Amistad in the Tenerife capital. 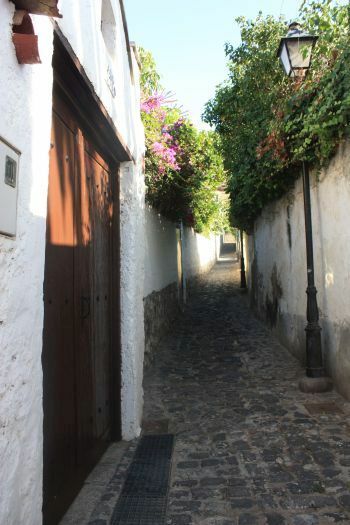 I climbed a steep, narrow cobble stone alley beside Casa La Ranita the youth hostel by the main square. 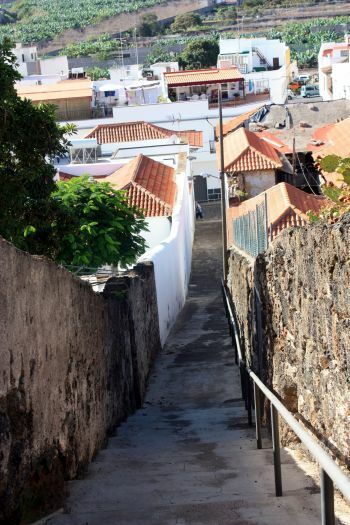 Steep cobble stone alley El Callejon Aregume leading to the mount from the town center. This almost hidden path leads you to one of the top ends of town where much Tabaiba grows. The view down to its hub is divine. And I glimpsed it all through a wire fence, as the photo shows. Los Silos with important Teno mountain views. Part of several impressive peaks of the Teno Massif with Monte del Agua and ancient Laural forests portray a majestic sight. 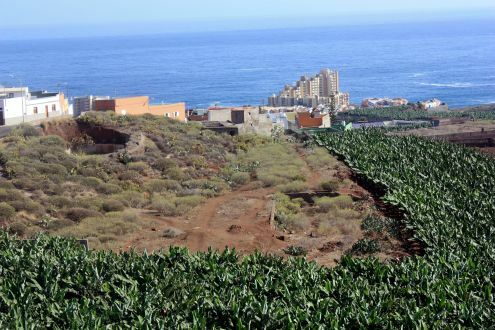 Banana plantations border them behind the houses with their Terracotta tiled roofs. In the opposite direction part of Costa Sibora. 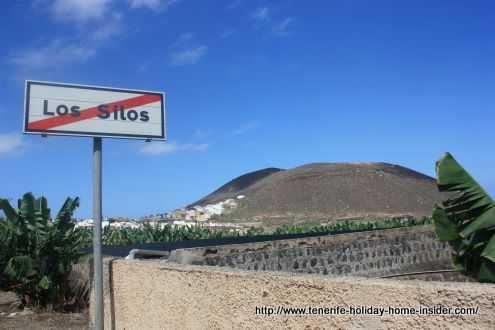 Tenerife holiday homes Los Silos by wealthy people from the capital. Montana de Taco with 200000 year old volcanic water crater. Almost a million cubic meters fit in the water crater. They help when the water from five galleries isn't enough to irrigate the farms of Isla Baja. 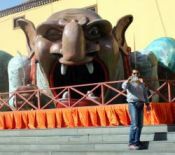 What find by El Puertito and Costa de Sibora? El Puertito a tiny fisherman enclave. The chimney of the last sugar mill of Sibora and one of the former four XVI century Silos the coastal stores that gave the town its name. The latter were hidden from my view, too. However, I could see enough that took my breath away after only a little bit of exploring around town. Well, the town with its mere 5000 inhabitants isn't that big. However, the total area with surroundings amounts to 24km2. That is three times as much as Puerto de la Cruz. Alley way to suburb Fatima and back to the hub. The passage Dr.Jordan 1 led me back to the main urban conclave. I ventured into the suburb of Fatima. Barrio Fatima that joins onto the hub of town. Casco antiguo Old quarters of the town of the Silos. 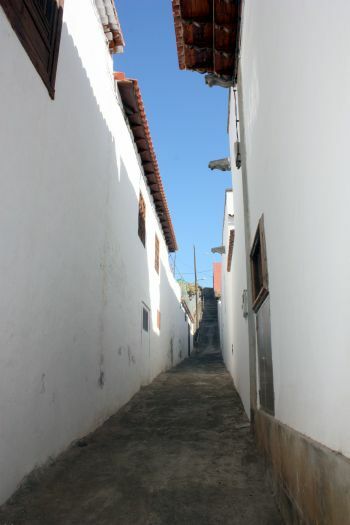 Calle Cantillo with cobble stones in Silos Isla Baja town. 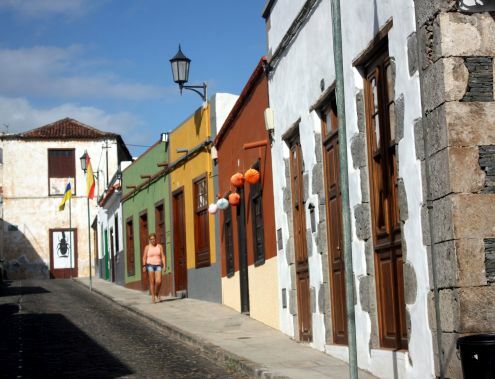 There, colorful facades take turns with white ones. 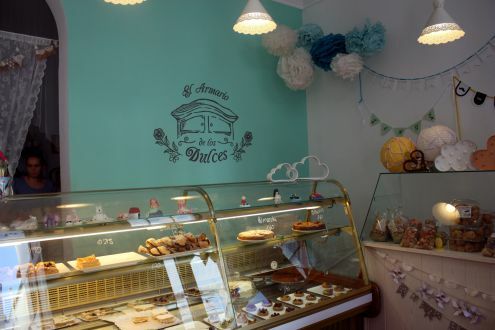 A charming pastry shop named El Armario de los Dulces (Cupboard of sweets) was on my way back to the hub. 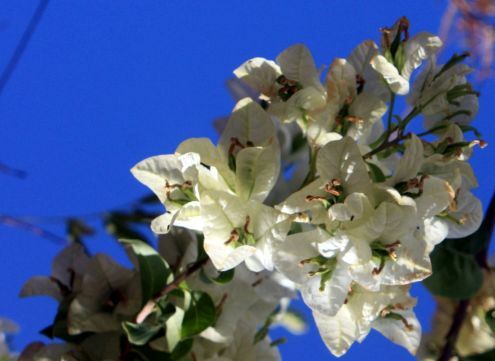 White Bougainvillea at the lookout Calleton Dr.Jordan. Bougainvilleas of 3 colors grow on top of the town above the Calleton. 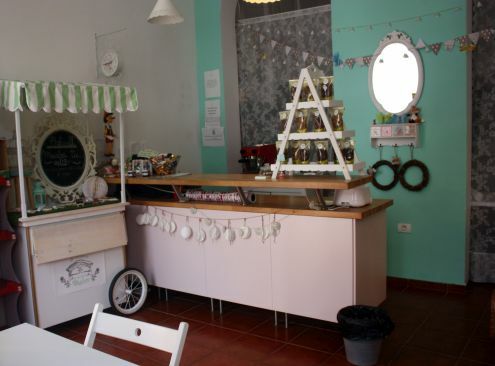 Little children love the shop also for its sweet toys, while adults may appreciate its amazing designer pastries and good cakes to take away. Walking on i arrived by the yellow ex-convent again. 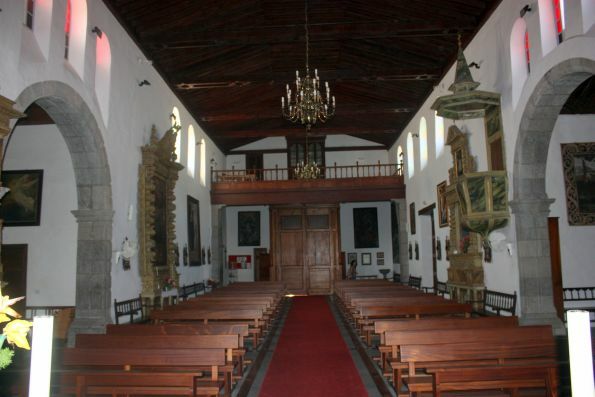 Former Convent Saint Sebastian with interesting past. Ex Convento San Sebastiano now cultural center with library of the town of the Silos. 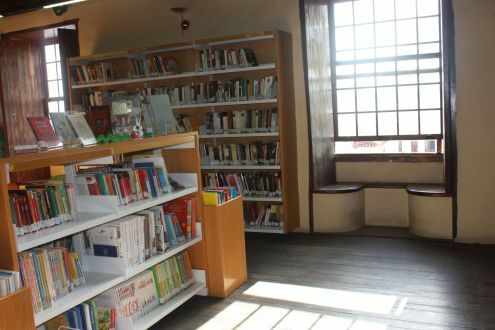 Today, this superbly restored recluse with magnificent patio and first floor galleries houses more than a center for photography, art and culture. More about the history of this former convent of nuns and its yearly international Festival del Cuento, just now. Cultural center Los Silos in ex-convent. Los Silos Biblioteca the library in a the former convent. Los Silos old quarters with cultural center and tourist office in ex-convent on the right. Los Silos views from the convent to Mount Madre del Agua of the Teno Massiv. Education about the environment with fauna and flora are important at the center, as bird photos with descriptions show. Workshops, cultural events, such as festivals, art exhibitions, concerts and more provide lasting values. Los Silos birds of prey featured at the center. 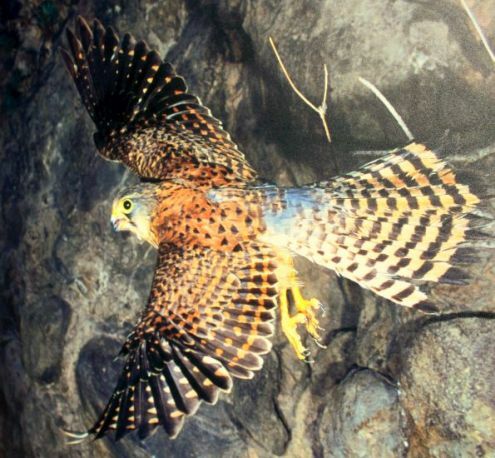 Bay winged hawk spotted by a German hiker in the Teno Massif near the town of the Cuentos festival. 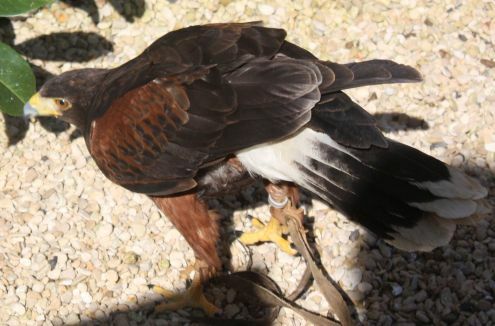 This Harris Halk also has a habitat at Jungle Park in Arona. Los Silos strongly advocating environmental awareness. It did so by choosing water as the theme for the 2017 festival de Cuentos, as water is our most precious commodity. It also vouches for the preservation of wildlife and flora. 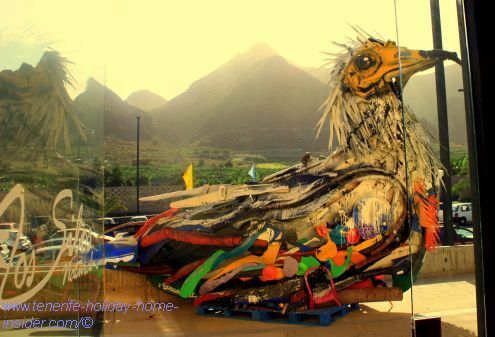 Egyptian vulture the extinct Guirre of Teno Bajo as giant street art made of trash by the environmental awareness artist Bordalo II at the entrance of the town by the town of the International Festival del Cuento. Laurisilva mist belt Monte Agua flora above Los Silos. Bicácaro Canary Bellflower (Canarina canariensis) now emblem of town in the neighborhood of which it grows with great success. 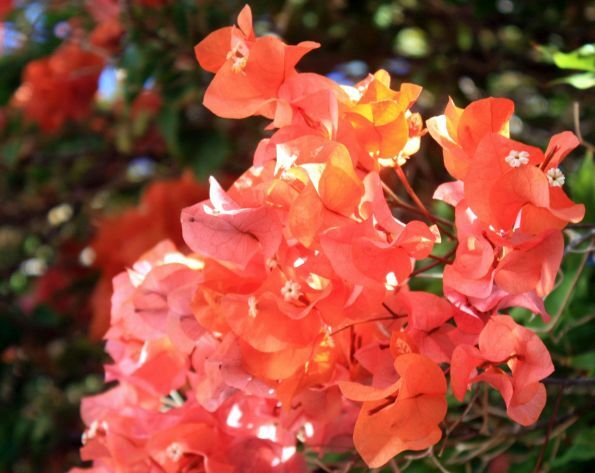 Some of the above mentioned Teno flora has been noted as endangered in Tenerife here. Five town emblems, not all of which are visible. Actually, the town of lasting values has top five emblems in my mind. They are the Canarina in its healthy forests with its good water, the Guirre monument, the library i.e. the ex-convent San Sebastian, church Iglesia de la Luz and Plaza de la Luz. Why special? 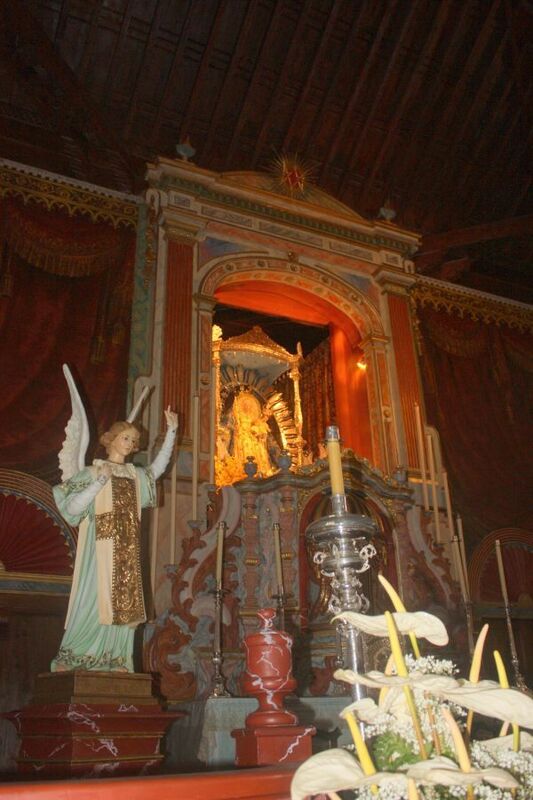 In 1955, Nuestra Señora de la Luz was declared continuous and honorary Mayoress as well as Patroness of Los Silos. 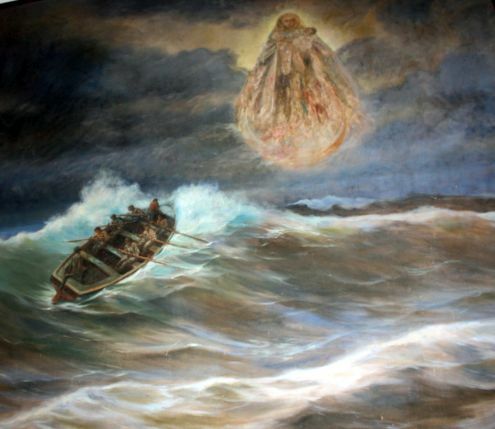 Fishermen and Madonna painting with boat fighting dangerous waves. The painting where the Madonna with child looks on while desperate fishermen are rowing for their life speaks a thousand words. 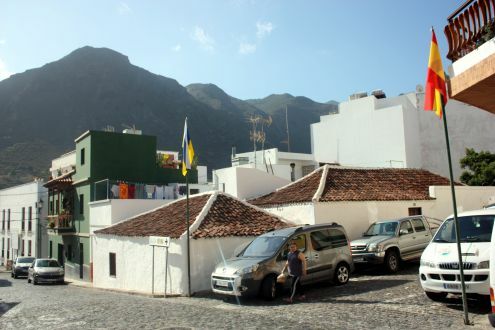 Already a few years ago, even its suburb at Caleta de Interian had steep prices for sleeping over. You would think that a hamlet with humble looking fishermen houses would provide bargains to spend a night. Not so... Many portals in the Internet where also foreigners can book accommodation cause more of a price hike. Three days, one week after the festival de Boreales at the so called Eco Youth Hostel Casa la Ranita would have cost more than Euro 50 a night. Mind also that some of the four rooms available have to share bathrooms. Hence, the price isn't only too much to pay for students. 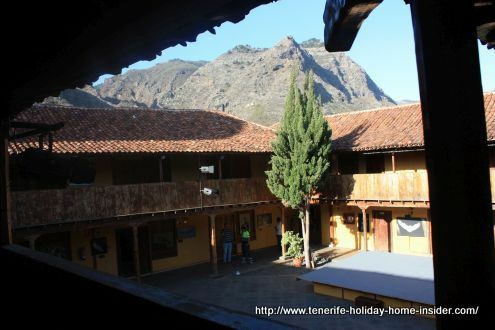 Nowadays, several places in Tenerife have very affordable Youth hostels with mostly shared accommodation, as is normal. I never checked Air B&B in the old quarters, though. They have economical offers out of town by El Puertito. Restaurants and the like in Los Silos. 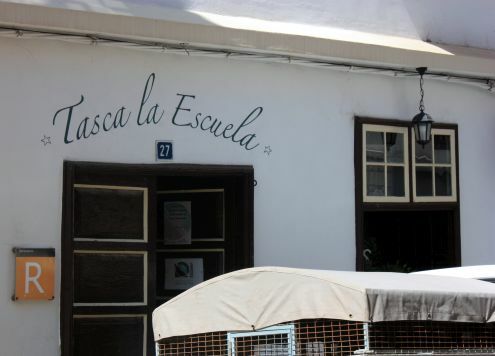 I spotted an Italian Restaurant called Tasca La Escuela in Calle La Estrella. That's the continuation of Calle la Luz by the Plaza. The restaurant looked inviting inside with its light colors but was closed on that day, as it only opens from Thursday to Sunday. Italian Tasca La Escuela in Calle Estrella,27 down the road from Plaza de la Luz. 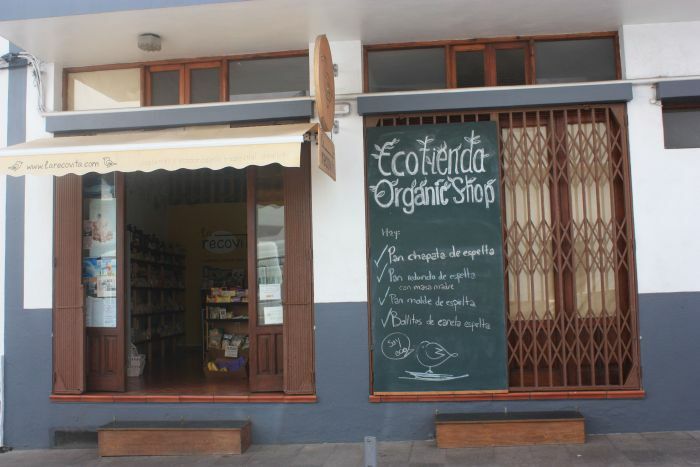 Organic shop and bakery for fresh Spelt bread and rolls opposite the Restaurant Escuela. 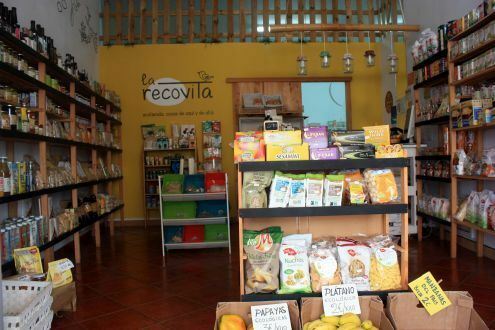 This so called Tienda Ecologica also sells freshly baked Spelt bread and rolls. Both breads and pastries carry the two certificates for organic origin. Other organic products are available there. More info at its Facebook page. Other places for eating out by Los Silos. 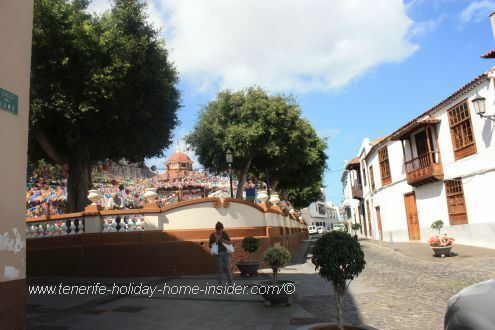 Restaurante La Ferreteria by Plaza de la Luz behind the church which has four stars in Trip Advisor as seen during the Festival del Cuento in 2017. The Restaurant at the natural swimming pools of Beach Agua Dulce had quite a good cuisine, in the past. Nowadays, it even has a Swiss chef. 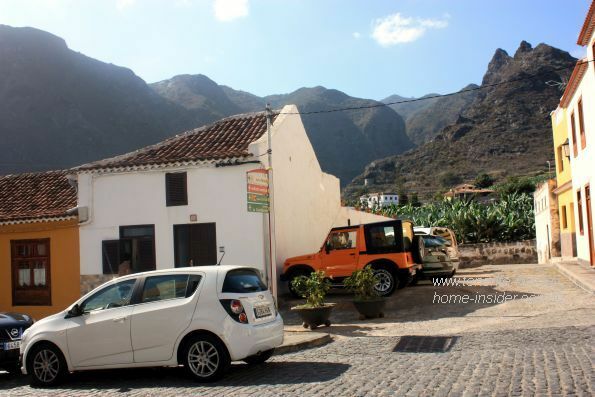 I ate a menu of the day at Restaurante Brisas de Teno in an enchanting garden. This is on the TF47 the main road, just before Buenavista. Its chicken tasted dry like paper and the white potatoes where disappointing for Tenerife standards. It's faintly spiced herbal sauce wasn't half bad. Most probably, the winter chef cooks much better. By the way, the waiter went out of his way to give a good service, while live hens were chatting in an enclosure nearby. 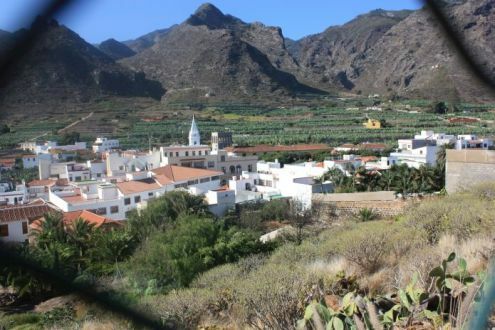 There is an Altesa by the Titsa bus stop of Caleta de Interian by the TF 47. I know because a late friend of mine used to shop there. By the way, there is a large modern Health Center a Centro de Salud in the middle of town. This is important to know. So is the fact that Caleta de Interian of Los Silos has a dog hotel. 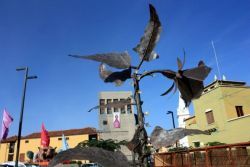 Why Cuentos Los Silos is a storyteller festival where street art delights. 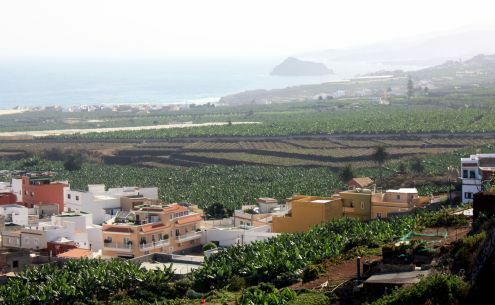 From Los Silos back to Tenerife towns.